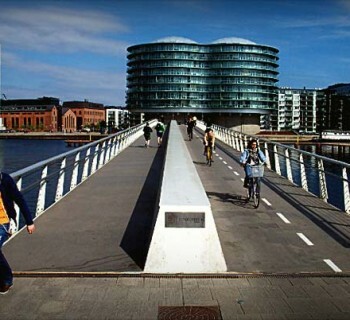 Home›Transportation›Shifting to Complete Streets: What are they and why should you care? 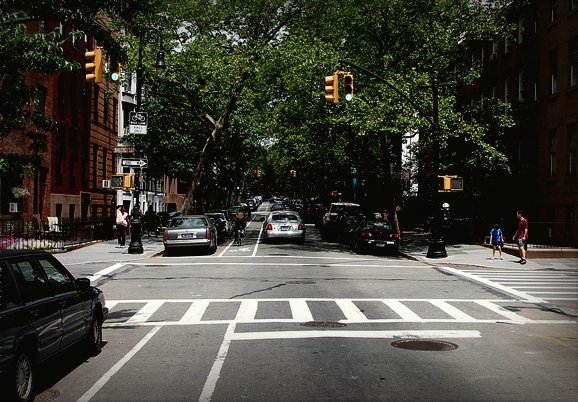 Shifting to Complete Streets: What are they and why should you care? 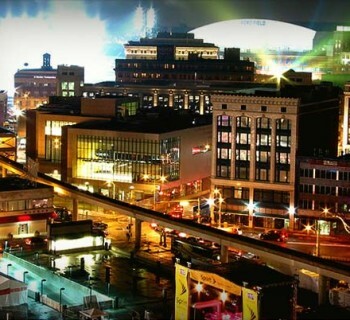 DETROIT -- Imagine the busiest road in Detroit being reconstructed with all travelers – not just car drivers – in mind. That might mean installing special lanes for bicyclists; well-marked and properly signaled crosswalks for folks on foot or in wheelchairs to safely traverse busy intersections; or well-placed, well-lit and comfortable transit stops for Detroit Department of Transportation bus riders. The planned repairs would include much more than filling potholes or resurfacing streets, which are vital, but only for motorized vehicles. Welcome to the world of Complete Streets. Complete Streets are safe, functional streets intended for multiple users – pedestrians, bicyclists, motorists and transit riders of any age or mobility. Some southeast Michigan communities, including Ferndale, Lathrop Village, Ypsilanti and Taylor, have already adopted Complete Street policies. Others, including Detroit, have ordinances written that are awaiting approval. Statewide, more than 60 local ordinances and resolutions are in place, with Michigan leading the nation for the most adopted policies – about 20 percent of all U.S. 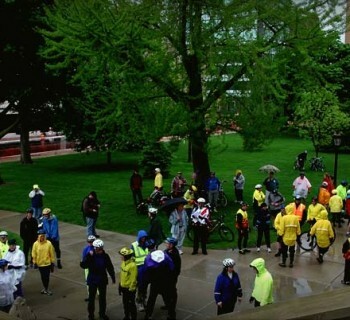 Complete Streets policies – according to John Lindenmayer, co-chair of the Michigan Complete Streets Coalition and associate director of the League of Michigan Bicyclists. “We have a long road ahead of us in terms of the actual implementation of Complete Streets, but policy-wise, Michigan is leading the pack,” says Lindenmayer. “Leveraging all of these policies into better community planning that ultimately results in more bike lanes, sidewalks, crosswalks, transit shelters and other features that help make our roads safer for all users is when we'll really have something to celebrate." well-placed crosswalks, and other features. The Detroit ordinance draft is the product of the Detroit Complete Streets Coalition, which started meeting in 2010 with a mission to get an ordinance written and into the hands of Detroit City Council. Current coalition members include many city departments, such as the Department of Public Works and the City Planning Commission; Wayne State University; organizations like AARP, City Connect Detroit, Michigan Trails and Greenways Alliance, Southeast Michigan Council of Governments and Transit Riders United; and community members with a passion for Complete Streets. Detroit Complete Streets Coalition has held a number of community meetings to raise awareness about the benefits of Complete Streets and encourage residents to urge City Council and the Mayor’s Office to move ahead. Currently, the ordinance is being reviewed by the City of Detroit’s Law Department and, from there, it’s off to City Council for approval. Equity – Complete Streets allow people from all socioeconomic backgrounds – those with and without cars – to safely move about the city, making it easier for everyone to cross streets, walk to shops, or hop on a bike or bus to visit parks or go to work. Efficiency – Complete Streets make our roads more productive and less congested, moving people in less space (think about it this way: if 20 individuals each driving one car walked, biked or sat on a bus together instead, they wouldn’t take up as much space). Environment – Encouraging more walking or bike riding as a means of transport means less damage from fossil fuels to the environment. Safety – Complete Streets have more frequent, better-designed crosswalks with enough time to fully cross the street or with a median that allows for crossing in two stages. Designated lanes for bikes and buses also improve safety for pedestrians, bicyclists and people using assistive devices. Connectedness – Complete Streets help build strong communities by offering safe, welcoming roads for all resident, no matter their mobility, economic status, age, or mode of transportation. And, in livable, walkable communities, where movement on foot or by bike is common, social interaction is more likely. Want to support the Detroit movement for Complete Streets? Contact City Council and voice your support. Want Better Streets in America? Go to Denmark.